Okay so in a bid to sell their new iPhones in China, the Chinese people requested Apple should first reveal the battery sizes for iPhone XR, the iPhone XS and the XS Max, so people could know what they're paying for. Well i guess Apple had no choice if they really want to ship their phones to China.. so here you go.. So finally, here is a long much awaited list for the three new iPhone models. The lower speced and also lower end iPhone XR, yes the one that pisses people off the most, it ships with a 2942mAh Power Battery. While the glorified iPhone X which has now been renamed to the iPhone XS, now ships with a 2658mAh Power Battery, which personally i think it is a downgrade from the 2716mAh we last saw on the original Apple iPhone X. 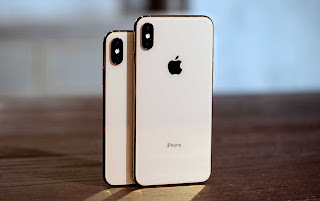 Then the biggest of them all, which is the massive 6.5 Inch Apple iPhone XS Max, and as you already guessed, it will take the lion share, so it ships with a slightly considerable 3174mAh Power Battery.. Now i don't know what to say concerning these battery sizes in respect to these phones prices... so i will let you all to be the judges in the comments section below.. Meanwhile, don't forget to share this good stuff and Subscribe to our newsletter for free..